Despite all the attention on e-commerce, retailers are making sure they don’t take their eyes off their stores, which are where the overwhelming majority of consumers still prefer to shop. From tech-first innovations to a renewed emphasis on practices that have been around for decades, grocers are combining a bit of the old and a bit of the new to keep their stores relevant in the digital age. After the Great Recession hit, full-service meat departments went on the chopping block. According to the Food Marketing Institute’s latest Power of Meat study, the availability of full-service counters dropped from 82% of retail meat destinations in 2007 to 73% in 2012 and 2013. But grocers have come around to the value a fully staffed meat department provides, and now 80% of meat retailers offer this option. In addition to providing fresh cuts and a friendly face, butchers can answer the question supermarkets are increasingly looking to answer these days: What’s for dinner? According to the Power of Meat report, 70% of consumers — particularly baby boomers — say they value having access to a fully staffed meat department. In Sorrento, Florida, the 9,000-square-foot Mount Plymouth IGA has a full-service meat counter that’s the star of the store, according to owner Nakul Patel. His butchers offer custom orders, bulk orders and the widest selection in what’s become a very competitive region. “People travel from far away for our meat,” he recently told Food Dive. It’s not just meat that’s getting the full-service treatment. Grocers like Coborn’s, Eataly and Whole Foods staff produce butchers that prepare fruits and vegetables for consumers while they shop. And some, like Metropolitan Market in Seattle, offer in-store concierges to help shoppers plan meals. From stock-up trips to quick in-and-out shops, consumers typically treat the grocery store as a transitory destination. But retailers know there’s also value to getting shoppers to slow down and spend more time inside their four walls. In-store bars, they’re finding, are just the ticket. “We have people who stop in as part of their shopping trip, but we also have customers who are coming specifically to the Tavern,” Scott Gross, general manager at Oliver’s Market, which operates four stores in Sonoma County, California, told Food Dive in an email. The tavern Gross referenced is Oliver’s Tavern Off The Green, a pub and eatery located at the company’s store in Windsor. Along with craft beers and bar bites, the Tavern also regularly features live music and plans a lineup of events every month. Whole Foods, Wegmans, Raley’s and Kroger are just a few of the chain grocers that have put bars in their stores. As part of its new $7.2 million flagship store in Boise, Albertsons opened a bar called Broadway on the Rocks that serves wine along with a selection of 36 beers on tap. It’s not just bars where shoppers are able to sip. Retailers like Lucky’s Market are also letting customers take a beer or glass of wine with them while they shop. Lucky’s “Sip and Stroll” program is now a mainstay at stores where regulations allow it — complete with cupholders inside its shopping carts. Locally grown foods are still going strong, with research firm Packaged Facts estimating the market will hit $20 billion by next year. Grocers have tapped into demand by increasing their assortment, promoting their local producers and holding “meet the farmer” style events in stores. Some grocers are taking local a step further by partnering with vertical farming operations like Bright Farms and Gotham Greens to source produce from mere miles away. And then there are some that have brought the farm to the store. A Whole Foods that opened earlier this year Bridgewater, New Jersey features a mushroom farm that generates up to 120 pounds of fungi a week for the store. Smallhold, a New York City based organic farming startup, provided the in-store cultivation display. Adam DeMartino, the company’s co-founder and chief operating officer, told Supermarket News it’s a hit with shoppers, particularly children. Meanwhile, Hy-Vee built eight-foot tall hydroponic “grow walls” outside its store in Davenport, Iowa last year, which supplied up to 15 pounds of herbs and lettuce for the store each week. Other retailers are undertaking similar projects. One of H-E-B’s Central Market stores in Dallas features a 53-foot-long Growtainer that produces herbs, leafy greens and other produce that are merchandised with “store grown produce” signs. H-E-B liked the concept so much that earlier this year they purchased a second Growtainer for another store. For supermarkets that don’t have space to farm inside their stores, there’s always the roof. 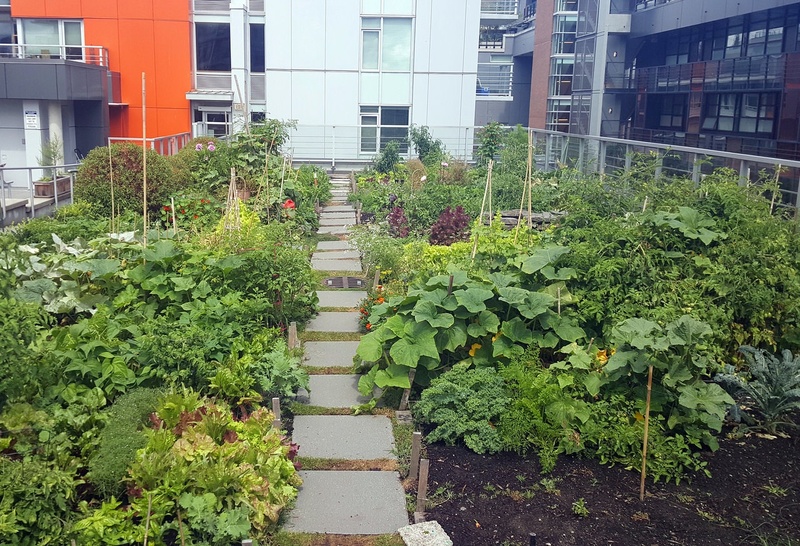 A Rouses store in New Orleans, a Whole Foods in Brooklyn and Bi-Rite stores in San Francisco are just a few stores that feature rooftop gardens. Last year, an IGA store in Montreal built a 25,000-square-foot rooftop garden — the largest such arrangement in the entire country. Chuck Eggert believes supermarkets have a blind spot: They carry aisle after aisle of meal ingredients, yet they don’t show their customers how to put everything together. So when the founder of Pacific Foods decided he wanted to open a grocery store, he knew education needed to be a primary focus. Basics Market, which opened this month in Portland, features a large culinary classroom where shoppers can learn everything from knife skills to diabetes management. Eggert sees the classes as filling a need in the community to promote culinary skills and healthy lifestyles. But offering classes is also a business decision. “If we can educate them and teach them what good nutrition looks like, they’ll become loyal customers,” Eggert told Food Dive. Other grocers would respectfully disagree with the assertion that they’re not providing enough education. 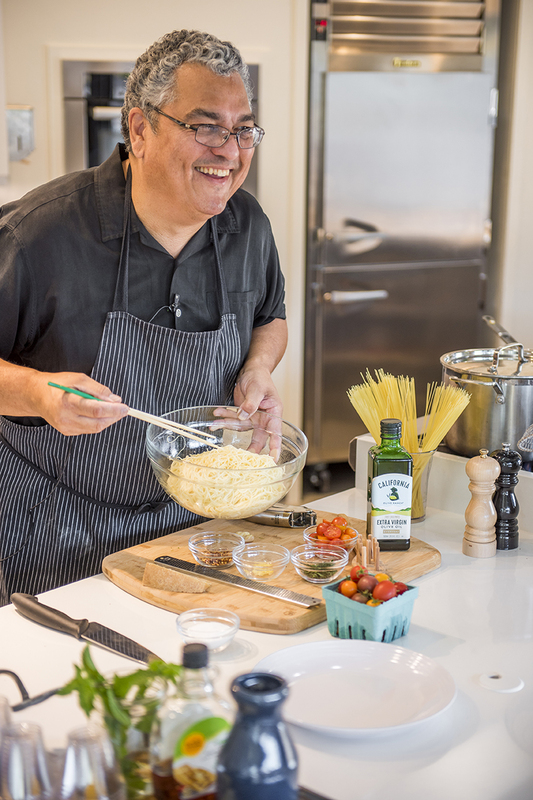 At select Martin’s stores in Indiana, for instance, seniors can learn how to cook with local ingredients, while kids can take brownie-baking classes. At Kings Food Markets in New Jersey, teens can enroll in a global fusion course that teaches them how to make dishes like chorizo egg rolls and spanakopita wontons. Health is a major focus. Retailers like Hy-Vee offer store tours with its many dietitians while Dave’s Supermarket in Rhode Island runs support groups and seminars for shoppers with celiac disease. Some nonprofits are enlisting doctors to run store tours for shoppers looking to improve their diets. As the connection between food and medicine grows, Eggert believes, so will the opportunity for retailers to solidify their connection with shoppers through education. 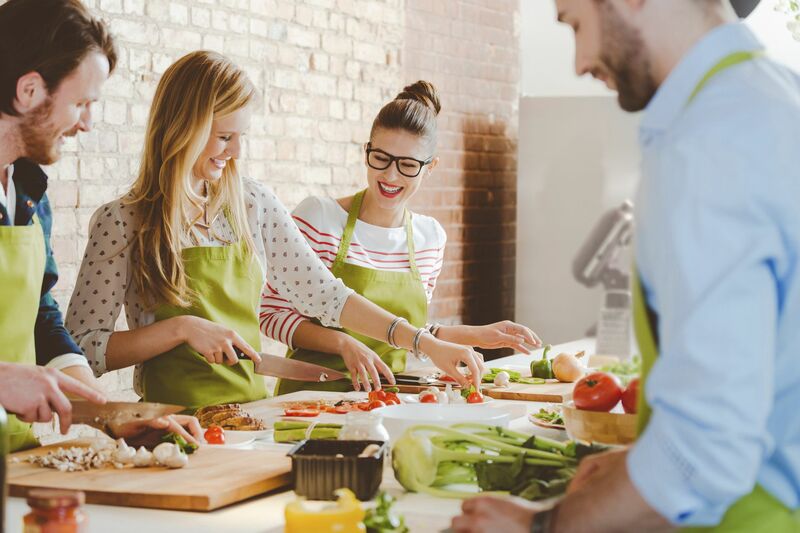 “People are hungry for simpler diets, nutrient-dense meals and they’re looking to stay healthy through eating well,” he said. Grocers have long known that their front ends can be a headache for consumers. But a study released last month by Forrester Research and Digimarc shows just how damaging a tedious checkout experience can be. According to the survey of 1,000 shoppers, 39% said they had left a store due to long lines, and 56% said they would change stores if a better checkout experience was the primary differentiator. “Retailers put effort and expense into pricing promotions for consumers focused on value, but they may be underestimating the true cost of slow checkout in terms of lost business revenue and diminished loyalty,” Heidi Dethloff, vice president of marketing for Digimarc, said in a statement. Staffing additional cashiers, installing more registers or overhauling front ends altogether can alleviate the problem. 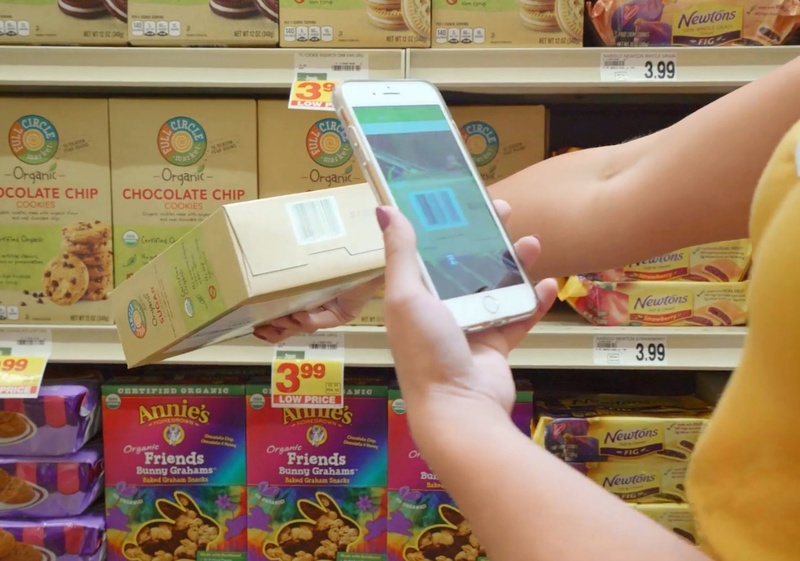 But grocers think they’ve found a more cost-effective solution in scan-and-go apps that let speed-focused customers check out with their phones. Kroger’s Scan, Bag, Go program, which lets shoppers use a special app or handheld scanners available at participating stores, has tested well and will be available at 400 locations by the end of the year. BJ’s Wholesale Club will offer its Express Scan program in 100 stores by the end of this year. And in New York, Fairway Market is pleased with initial tests of a mobile scanning app implemented by FutureProof Retail. At a time when online shopping is growing and checkout-free store Amazon Go has captured the industry’s eye, grocers are under pressure to not just alleviate checkout lines, but to make the experience enjoyable, too. Dollar General’s DG Go! app automatically applies coupons and alerts customers to additional savings while they shop. The company plans to have 250 stores online by the end of this year. Could skip-checkout apps eventually see widespread usage? It’s hard to say at this point. Walmart recently scrapped its Scan & Go program, which let customers pay for their items through a special app. Also, while shoppers hate long lines, research shows they do value the human interaction that happens at checkout.